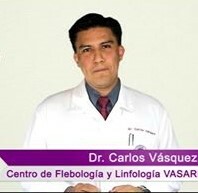 Dr. Carlos Vasquez is a highly-respected phlebologist and medical director of VASARI Center, specialized in the prevention, diagnosis, treatment and rehabilitation of diseases of the veins and lymphatic system, which can affect legs and arms. 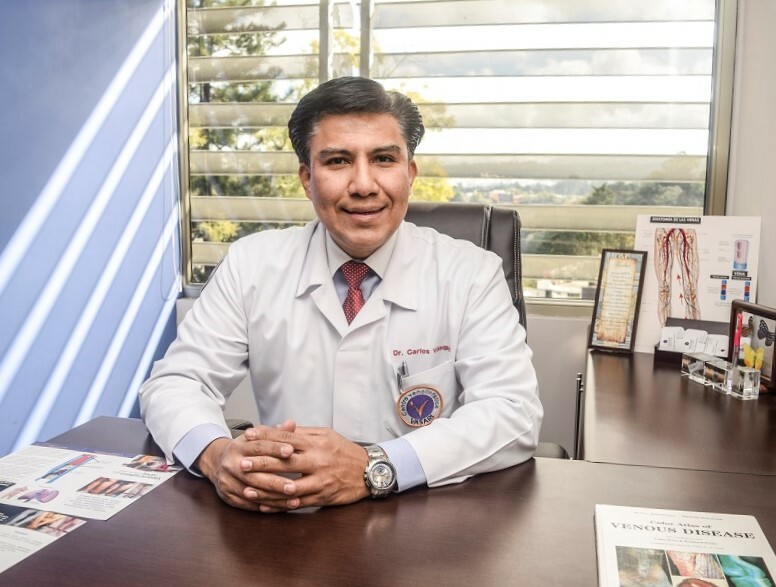 Dr. Vasquez opened the Vasari Clinic in Guatemala City in 2003, and was joined in 2004 by Dr. Claudia Arias, who is also a venous surgeon and specialist in veno-lymphatic diseases. Dr. Arias speaks English, for the convenience of their North American and European patients. 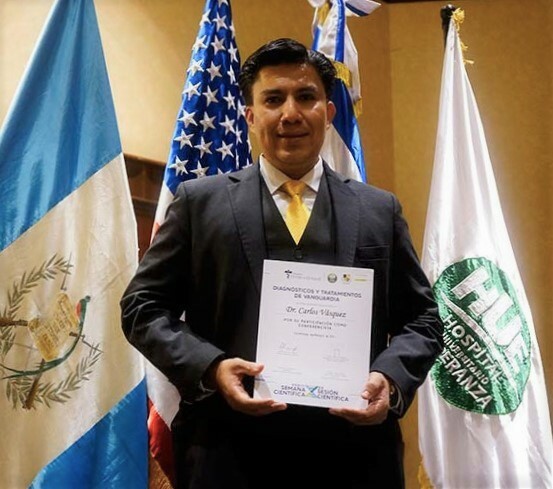 As the Central America and Caribbean representative to the Día Mundial de Trombosis congress, Dr. Vasquez has become a KOL, or Key Opinion Leader, responsible for the verification and implementation of the highest standards of medical practice in his field. 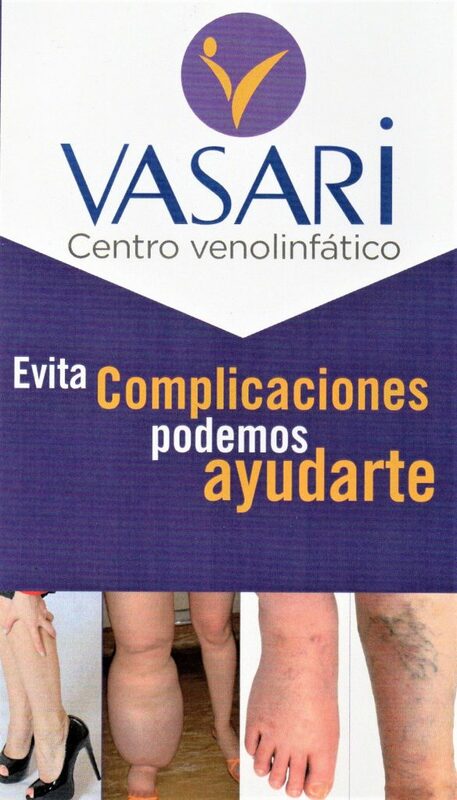 The VASARI Center offers comprehensive care to patients from the initial consultation and diagnosis, through preparation for treatment, until they are completely satisfied with their rehabilitation and successful results. 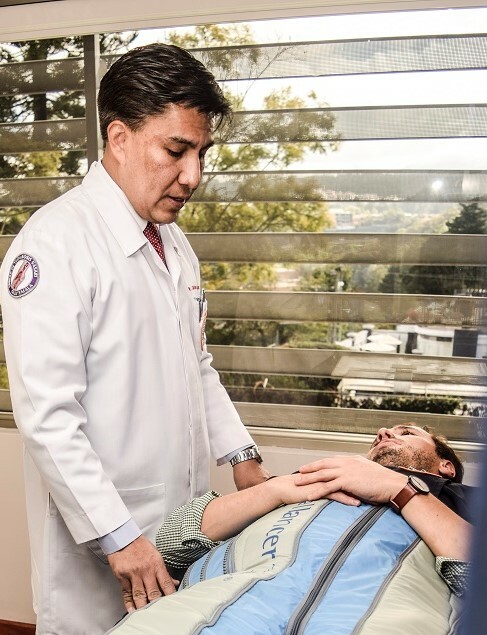 Modern technology and qualified medical specialists assure that the patients and their families receive the best possible attention, personal comfort, guidance and support. 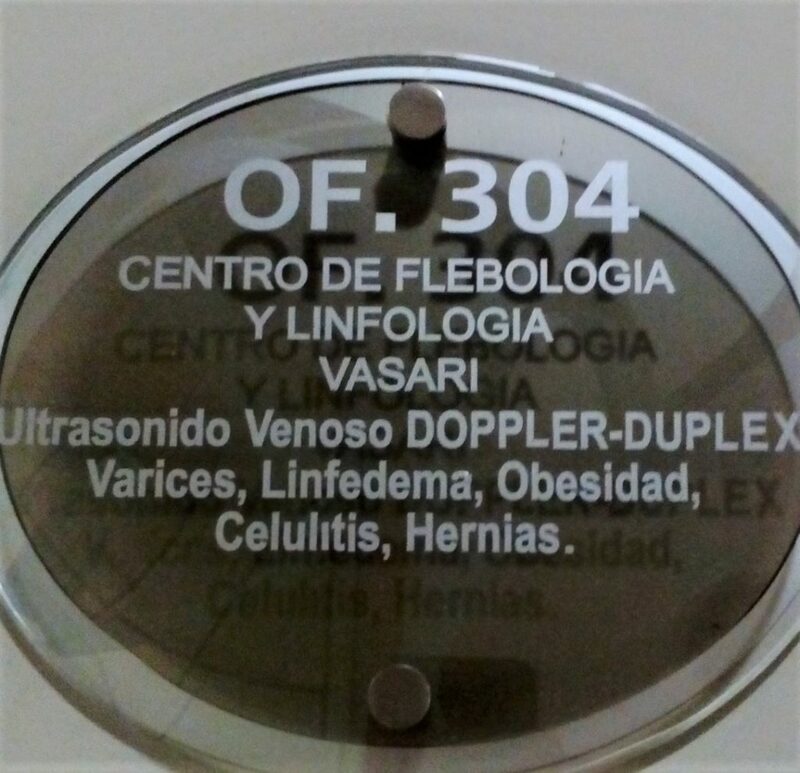 When patients arrive to the VASARI clinic with leg pain, itching, numbness or infection, the core problem could be elusive. 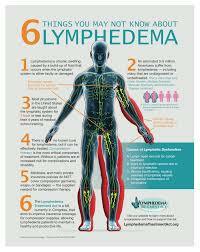 Some people with vein and lymph system problems also suffer from associated symptoms such as chronic pain, and circulatory, muscular or neurological disorders. If the veins do not allow blood to flow freely, then the patient suffers from insufficiency, causing swelling, dermatitis and varicose veins. 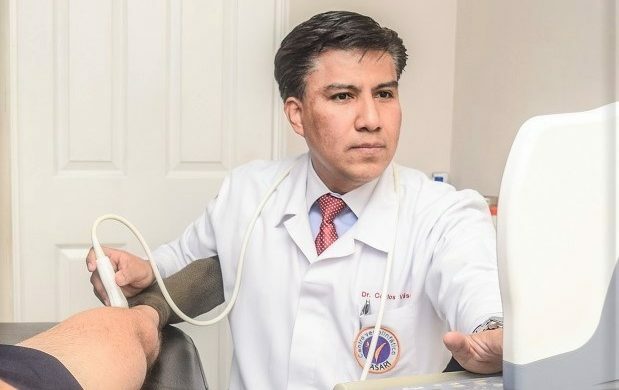 Dr. Vasquez is an expert at detecting the medical clues, until the cause of the vein deterioration is found, without a doubt. One of the many new techniques used by the phlebology specialists at the Vasari Center is Microfoam Sclerotherapy. 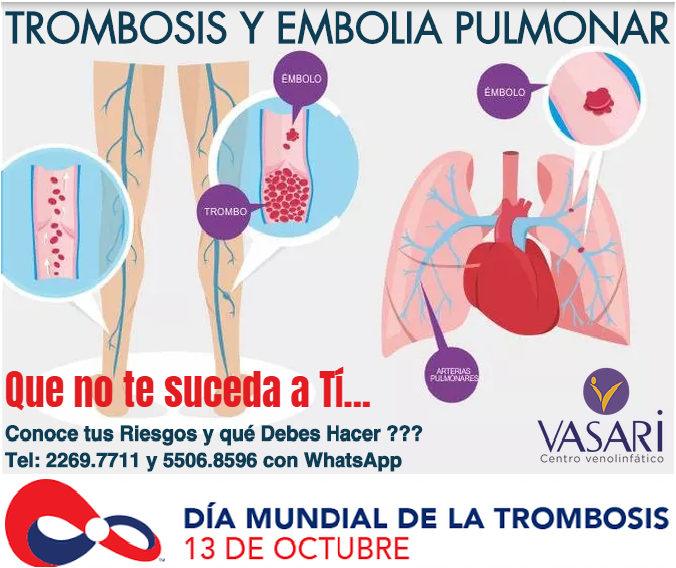 When the sclerosing liquid in injected into the veins, it causes the inside of the blood vessels to self-adhere so that the vein closes to achieve success. 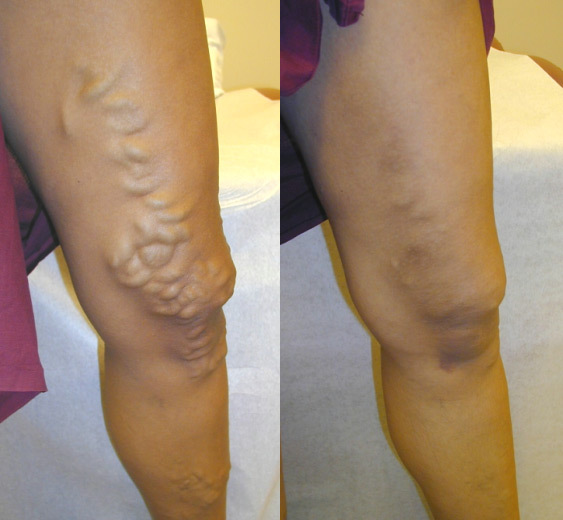 Sometimes a few treatments are needed to treat the varicose veins that appear at different levels under the skin. 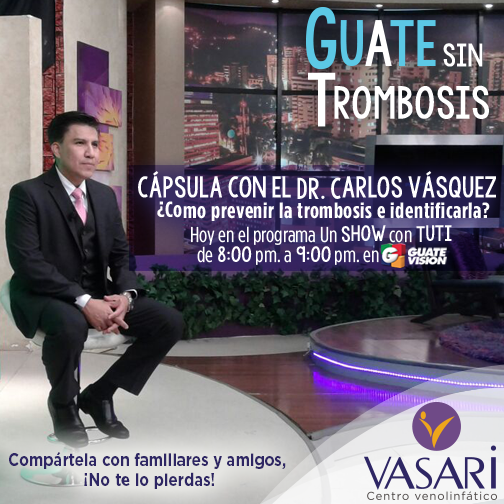 Dr. Vasquez says that it is important to direct the treatment at the root of the problem and not just superficially. It is not uncommon for a patient to receive two or three treatment techniques, like chemical, thermal and/or surgical ablation in order to work together towards the best possible outcome. 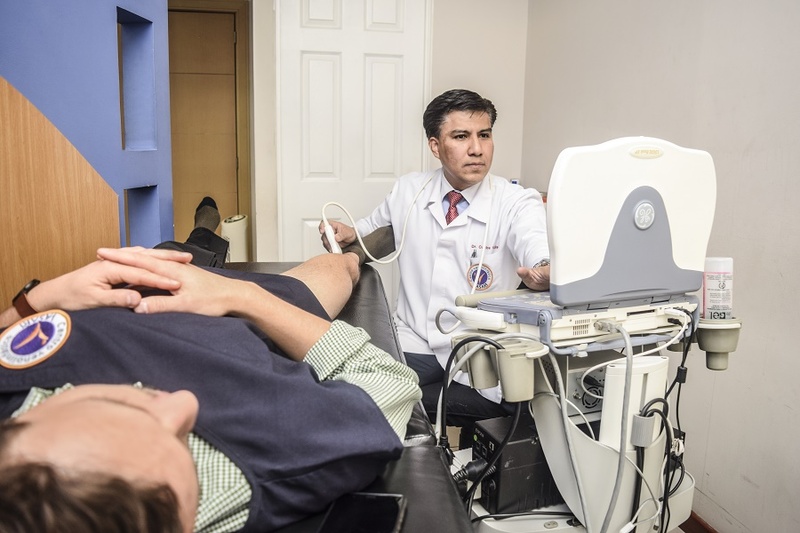 From your initial introduction and examination, through accurate diagnosis, Dr. Vasquez uses the latest generation instrumentation for precision venous mapping. Currently, high definition echo color Doppler (HD-ECD) is considered the gold standard for diagnosis of the venous system. It uses high-frequency sound waves to measure the amount of blood flow through your arteries and veins, shallow and deep, to chart the results in a 3-D graph. 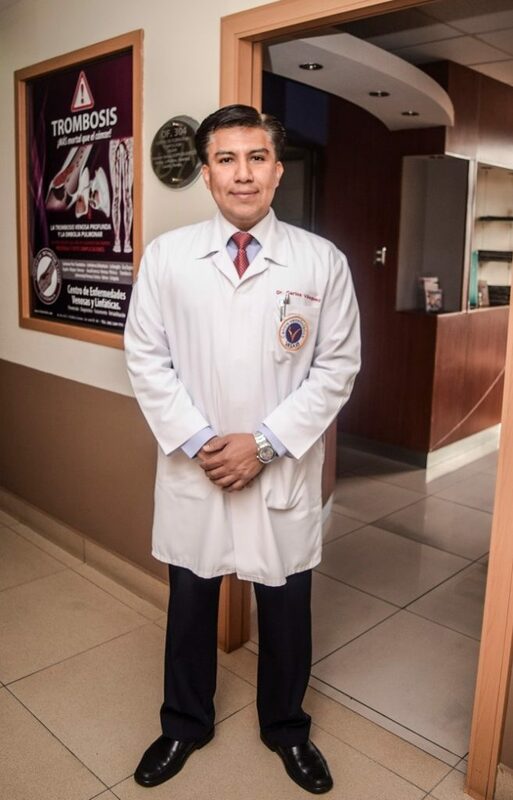 Flebo-scan, Triplex system and PowerD vein viewer allow Dr. Vasquez to evaluate the hemodynamics of the venous system. Tests are always performed by the doctor, not a technician. 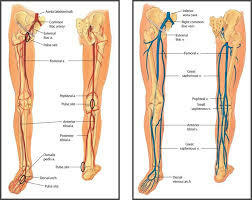 Deep vein thrombosis (DVT) or pulmonary embolism can kill – quickly and quietly. 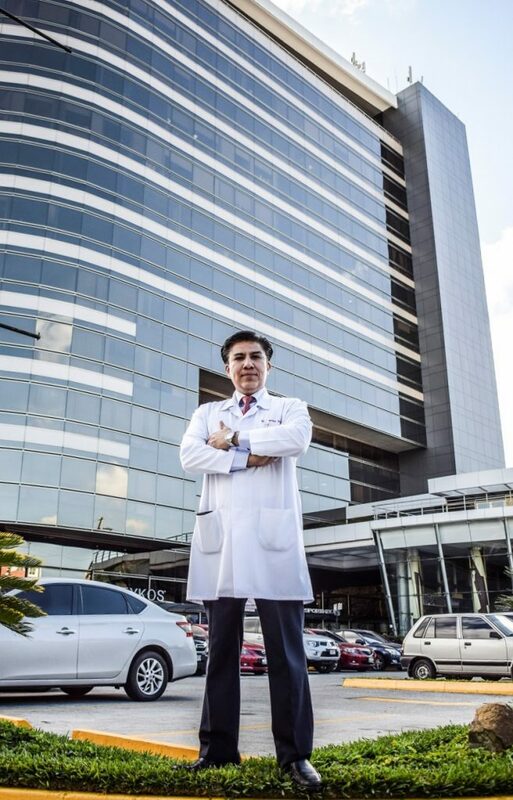 Surgical complications are sometimes attributed to cardiac, pulmonary, or natural causes, when the reality is that the cause of death is a DVT that was not detected in time. He is genuinely devoted to investigating the root of the problem, to find out why it is happening, and to fix it correctly and completely the first time. 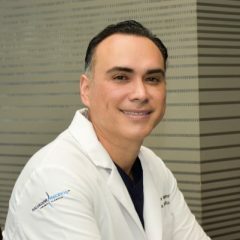 Dr. Vasquez listens carefully to your descriptions of your symptoms, history and lifestyle. With this, he can plan for the right solution, not just superficially, but deep in the circulation system. 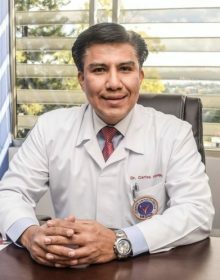 Patients of Dr. Carlos Vasquez are amazed when they don’t have just pills or creams like before, but a real cure that will last. Quality of life improves when you can walk with energy and flexibility, and know that your circulation is flowing in balanced rhythm, exactly how the doctor has planned. Líder de Opinión sobre tratamientos de este tema. Key Opinion Leader (KOL) in development of new standards in quality medical care. pills, and did some skin treatments. good already, after the ugly-looking veins were removed. Thank you. God bless you! Quality of medical attention is important for every patient. That’s why it’s good to know there is a clinic that covers all the patients’ needs. 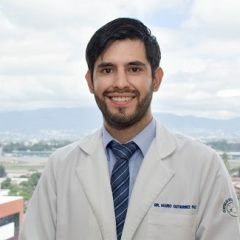 Excellent attention and profesionalism are worthy of a high recommendation!!! 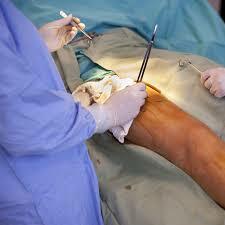 Excellent quality of human care and interest in the patient. Clinical equipment is first class. At VASARI, they are very professional, and they have first-rate equipment. I recommend them to everyone! The Sixtino 1 Building is located 6 blocks east of La Reforma, At the corner of 6 th street by the entrance to UFM.